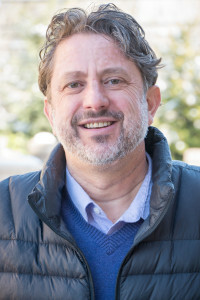 A former senior editor at Outside magazine, Brad Wetzler is a writer, journalist, and editor best known for his magazine feature stories and essays. His work has appeared in respected publications such as The New York Times Magazine, Newsweek, Wired, GQ, Men’s Journal, Best American Travel Writing, and Outside, where he is a current contributing editor. His work typically combines travel narrative with in-depth original reporting. He’s traveled to dozens of countries to report on stories about politics, the environment, travel, religion, and sport. He’s writing a nonfiction book about his travels in Israel and Palestine. Equal parts memoir, travelogue, and history, Chasing Messiahs is the story of the human craving to be saved—and of the saviors we place our faith in. Brad Wetzler began his career as an editor at Outside magazine, where he remains a contributing editor. While on staff at Outside, he worked with some of America’s finest writers. He conceived, assigned, and edited award-winning articles, including “Into Thin Air,” Jon Krakauer’s blockbuster magazine article about the 1996 climbing tragedy on Mount Everest, which Krakauer expanded into the book of the same title. Wetzler’s interest in travel and storytelling led him to a career as a freelance writer. For top publications such as The New York Times Magazine and Newsweek. He wrote a syndicated monthly column that appeared in more than 200 newspapers. He also was a contributing editor at George magazine, where he reported on national and international political stories. He has been a professor of English at The College of Santa Fe and an instructor at Denver’s Lighthouse Writer’s Workshop. His book Real Mosquitoes Don’t Eat Meat is a collection of his Wild File columns from Outside magazine. He’s appeared on NPR, ABC News and MSNBC and has spoken at writers conferences. Wetzler holds a master’s degree from Northwestern University’s prestigious Medill School of Journalism and bachelor’s degree in Philosophy and English literature from the University of Kansas. In addition to working on Chasing Messiahs, his nonfiction book about messiahs, Wetzler continues to write for magazines and teaches creative nonfiction. He also offers private one-on-one writing coaching in the areas of memoir, narrative nonfiction, and personal essay. Many of his students have succeeded in publishing their work and won prestigious awards. He lives in Boulder, Colorado. When he’s not writing or teaching, he enjoys traveling abroad and road trips in the Rocky Mountains and Desert Southwest. He’s an advocate for better, more accessible medical care for the mentally ill. He also advocates for the humane treatment of animals.